You may choose to enable Community (or what some call forums) on your Customer Hub at no additional cost and let your customers help each other, and also converse with your team. Note: Some customers may want to create a new ticket type called Community or Forum (your choice) but it is not needed and also a Group called Community. Any ticket type can be designated to the Community as can any Group. To learn how to customize your Ticket Types, see here. See more about Groups here. Enable Community by going to Admin/My Portal/Community tab. Check the Enable box at the top and click Save. 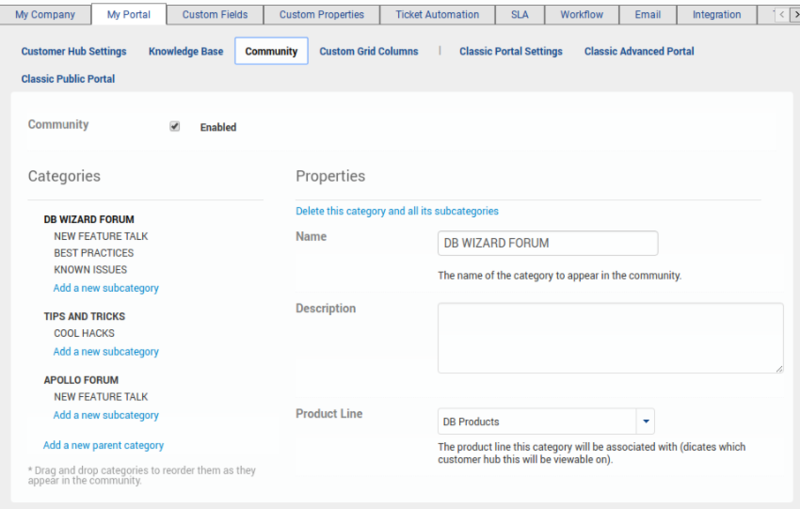 Refresh your browser and you will see a new Community section appear on the left navigation under Knowledge Base. This is where all of your forum posts will appear. If you are using the Customer Hub, you will also need to visit Admin->My Portal->Customer Hub to enable Community on the Hub as well. 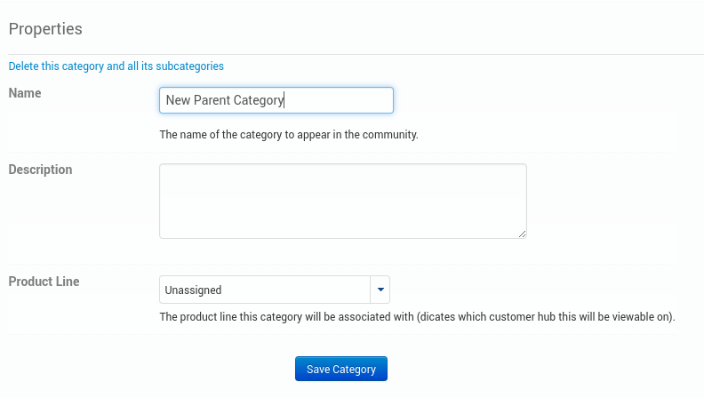 Add a Category, then add your Sub Categories. The Sub Category is where the discussion happens. 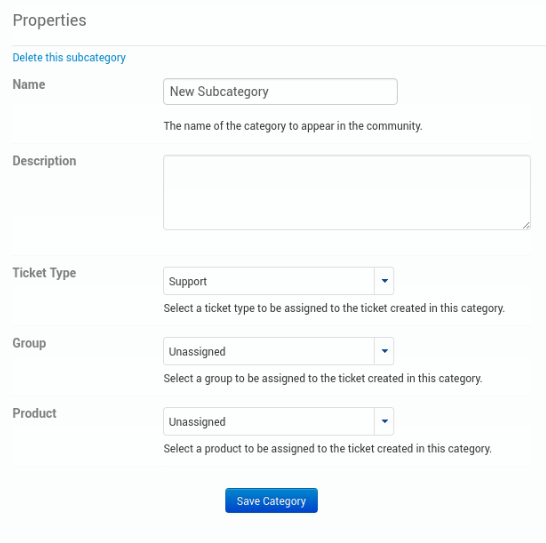 These Sub Categories are “tickets” within your main account, but to your customers, they appear in the community (forum) format. This makes it easy for your team to manage the exchanges. Click New Category or New Sub Category. In the pictures below, you can see how to define what ticket type you want to be created when a customer creates a new Topic on the Community. Again, you can choose to create a ticket type called Community, Form, etc – or you can tie these to types you already have. See here to learn more about ticket types. You can also define a default group to assign these too as well as a product and product line (Enterprise only on the Products selection). Click here to learn how to create and manage Community posts from within TeamSupport. You can see how your customers will use Community in our usage guides for the Customer Hub.